Buying land in India for investment or for living is considered to be a major move financially and emotionally. Before you invest a huge chunk of your savings in a scheme that looks attractive or in a piece of land which looks it’s going to boom in the next 5 years, watch where you step. There is also another reason, why I am writing this article – One of my close friends recently got fleeced in a land deal and had to face heavy losses. 1 Has the property cleared legal titles? 2 Have you understood your rights for delays? 3 Is your property being built on reserved land? 4 Have you checked the operating history of the developer? 5 How many documents does your developer need to clear and have in hand? Has the property cleared legal titles? Is your builder offering a pre launch scheme where the land has still not even been given a clear NA (non agricultural) title? You will need to make legal checks on the history of this land – whether it still holds rights or interests of any third party that could pop up after you buy the land. Always make sure that you have had look at the ownership of land papers. It will save you a lot of head-ache at later stage. Have you understood your rights for delays? Have you invested in a real estate project 2 years back and haven’t seen any development in the property as promised? A lesson to be learnt from this is that you must understand your rights on delay of construction before you buy the property. Invest in a construction-linked scheme where a start date and an end date for construction is given. If possible, maintain a rapport with others buyers so that in cases of emergency, you have backing in terms of numbers to put pressure on the developer. Is your property being built on reserved land? You might think that developers would never do this. But don’t be surprised if the government comes knocking on the door of your new residence asking you to evacuate because your house has been constructed on land which was only reserved for government projects like irrigation of a site of archeological research. Ensure that the proposed land is clear of such reservations. Have you checked the operating history of the developer? Are you rushing to buy land in a scheme because it has thrown up some grand visuals of Venetian villas being built on the banks of a river? Then stop! Cross check the name and the operating history of your chosen developer. How many projects have they successfully competed in the past? Talk to some buyers who may have purchased property with that developer. How much possession of the developer’s land has been taken successfully? Have they stuck to their promises of giving facilities in the plotted scheme? How many documents does your developer need to clear and have in hand? There are many documents that you will need to ensure that your developer has cleared in his files. From the 7/12 document which is the most critical document of Title and proof of rights to land revenue tax receipts, Title Deed, Stamp Duty document, Encumbrance certificate, Municipal Corporation approvals, Release Certificate from the bank, Allotment letter and the development agreement, the list is quite long. Make sure you have correct legal advice on the whole gamut of approved documents required. With the kind of controversies that the real estate domain has been plagued with in the past decade, it is critical that you safeguard your interests first. Until then, let’s just hope that some kind of regulation enters the real estate space with the RERA Bill which has been in the pipeline for many years. "Buying a Property, Plot or a Land? 5 Important Things To Know! ", 5 out of 5 based on 1 ratings. because the broker tells me it is a VASE land. Hello all if anybody wants to know about land litigation please contact me i will help you to resolve the Same. Sir my father purchase land for 40000 1sqft . my father give 92000 for first day .1week after seller tell me they will not sell over land .It a problem sir please help me . I want to buy an agricultural land in outskirts of pune for building a home for myself. I m not a farmer nor anyone in my family is farmer. But the owner of flat says that there s no problem.. you can buy such land for constructing a house only the thing is you cant construct a house more than 2 floors.. the owner has been selling all the plots. Are you talking about Hinjewadi area in pune. I want to buy an individual home (not a Flat) at Pune nearby Hadapsar / Mundhwa. is it possible? I have 45 Acer Agriculture Plot near New inter ational upcoming Airport at Purander-Saswad Area. Plot is 9 km away from Proposed Airport. Price is 35 Lakhs Per Acer. You can buy half Acer Also. We are real estate co in Pune and Middle East. Contact on whatup: 0091 7350734974 or send email: [email protected] Share this good news to your friends and relatives. If you are not farmer we make farmer letter on your name thro government. So that you can buy agriculture land. I want to buy a land for building apartment in area like Nasik..
I’m not a construction builder.. I have short listed indiependent bungalow property in WARJE,KARVA NAGAR , PUNR area. construction is 10-12 years old. 1. is it possible to convert this guntewari plot in NA PLOT ? 2. CAN I APPLY LOAN ON THIS PLOT ? 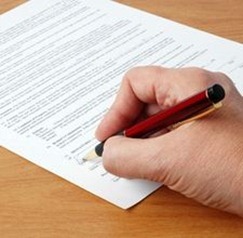 We would like to know all the list documents required before purchase of open land, in India. It is very important to look at the future market value of the land purely from an asset creation perspective. If the selected plot has zero or low appreciation value, your buy will be a dead one. Check with local land authorities regarding the value of land appreciation in that particular area before plunging into buying land. I have observed that securing loans from Banks for buying land plots is not as easy as obtaining loan for buying homes. One of the sources for land and plot offers that I have come across is http://plotplots.com. I want to buy a 100 yd with : Milestone realcom ltd. could it be reliable to purchase a plot. Yes, go on 99 acres.com, sulekha.com, you can see hell no of adds. if you are looking for good returns…go for land that is around the upcoming ring road(mumbai pune highway, alandi, kedgoan theur) (2.5 to 15 Lks per gunta), you will get great returns. If wanna wait for returns the buy land in acres, go for land at sawad, Jejuri, morgoan, neera, khandala,(3-7 lk acres) the best go for Velha,as there are 3 tourist places coming up, you can get land for 3-6 lac acre that too bagayati Land, later you can do plotting and sell in ghuntas. Pravin, i m looking to buy some plot land near mumbai – thane like shahapur. Is it a good area to invest? I want to buy 1000 sq. ft lant in pune it is possible? I want to sell one guntha 1000 sqft plot karvenagar pune. With 2 storey building ie two 1 bhk flats.near mumbai bangalore highway. Price is 80 lac rs. Industrial Factory Shed Godown Warehouse D ZONE At Kudus Wada Road, Near Bhiwandi – Thane MUMBAI. KUDUS, (NEAR BHIWNADI) WADA AJMERIA ENTERPRISE. Kudus is a city and important industrial zone situated middle of wada and bhiwandi Wada district. Although Kudus is situated 55 kms to the Mumbai, this vibrant and active Industrial Zone has a personality of its own due to his historical, Manufacturer and Industrial importance.The India gypsum, Saint Gobain, Coca-cola, Onida, Blue Star, Essel Propack is an important Industrial companies situated at Kudus. It even acts as a major stop-over for Industrialist going into the Bhiwandi region and Kudus.Property in Bhiwandi, Industrial Premises Factory shed Warehouse Bhiwandi Thane Property At Bhiwandi Property Near Mumbai Land For sale in Bhiwandi Real Estate in Bhiwandi Buy Sell Land Buy or Rent Plor Land Commercial Plot in Bhiwandi Mumbai Bhiwandi Property Residential Property for sale Rent Purchase Bhiwandi Warehousing Storage Warehouse India Warehousing in Mumbai The best features from an industrialist and Investment perspective are The Industrial Complex which is the largest industrial area in the Wada Belt and it is just 1 ½ hrs drive from Mumbai – India’s Financial Capital. •	Industrial Shed in Complex 25 kms From Bhiwandi. •	All types of area 3000 to 50000 sqft 65 kms From Mumbai. •	Ready Shed at 26* Lac 35 kms From Kalyan. •	6 Lac Down Payment 35 kms From Vasai. •	EMI – Rs 1000000/-* 55 kms From Port. •	100% LEGAL COMPLEX 65 kms From Airport. •	The Property is just 1.3hr drive away from Mumbai and around 65 kms from Port and International Airport, thus making Kudus easily accessible to major cities. •	Close proximity to well known Industries like India gypsum, Saint Gobain, Coca-cola, Onida, Blue Star, Essel Propack. •	Kudus has close proximity to Mumbai – India’s Financial Capital. •	Steel Rolling Mills – India’s Major Steel Rolling Mills. •	Town Plan Passed. Collector Approved. N.A. Title Clear. Bank Loan Facility available. Power Sanction. Availability of water supply for drinking & Industrial purpose. Availability of Labors.As Per Best Vastu. Security with compound and watchman and tension free Labour Union. Already Big and Small Industries are running successfully, Plastics, Engineering, Electronics Equipments, Automobiles, Food Processing Units, Dyes and chemicals, Rubber and leather goods, Wire and cables, Packaging Units, Metal Fabrication works, Non woven Industrial Units, Knitting Industries, Garment Industries, Fancy Yarn Units, Yarn Twisting and Doubling Plant, Weaving and warping units, Yarn sizing and spinning units, Embroidery Units, Furnishing, Jacquard Units. Industrial Shed R.S.975/sqft D ZONE At Kudus Wada Road, Near Bhiwandi – Thane MUMBAI. For More Details Contact at 9890131668 /9321620919 Ajmeria Enterprise. Browsing free ads and websites which are listing Indian properties will reduce the burden of searching hard for the new homes in India. It would be interesting to hear which developer and what exactly your friends experience was. I run a leading website for holiday home rentals and we have quite a few people who visit our owner community to research buying land etc. for their holiday home. I would be keen to maybe hear more offline. I think this article is addressed only for the segment “Resident Indians wanting to buy property in India”. For NRIs wanting to buy property in India the issues are in another dimension. There are a whole new set of rules for NRIs. I can mantion very few of them here just for an idea. Please read the latest rules before venturing into the investments. Why dont you write an article on “must know” things for NRI :) that would help a lot of our readers!